How to make Easter card at home using quilling. this is one of the nice selfmade Easter playing cards ideas. Artsy Frtsy will show you a little by little way to make simple quilling card for Easter. 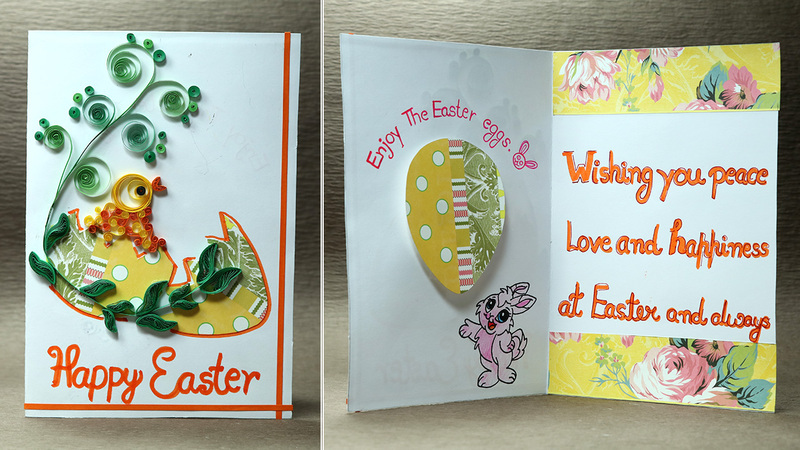 Even if you are new to quilling or DIY greeting cards, you may find it very smooth to make this home made Easter card. Your kids may also like to make those unique quilling playing cards for Easter at the same time as mastering the art of quilling and card making.